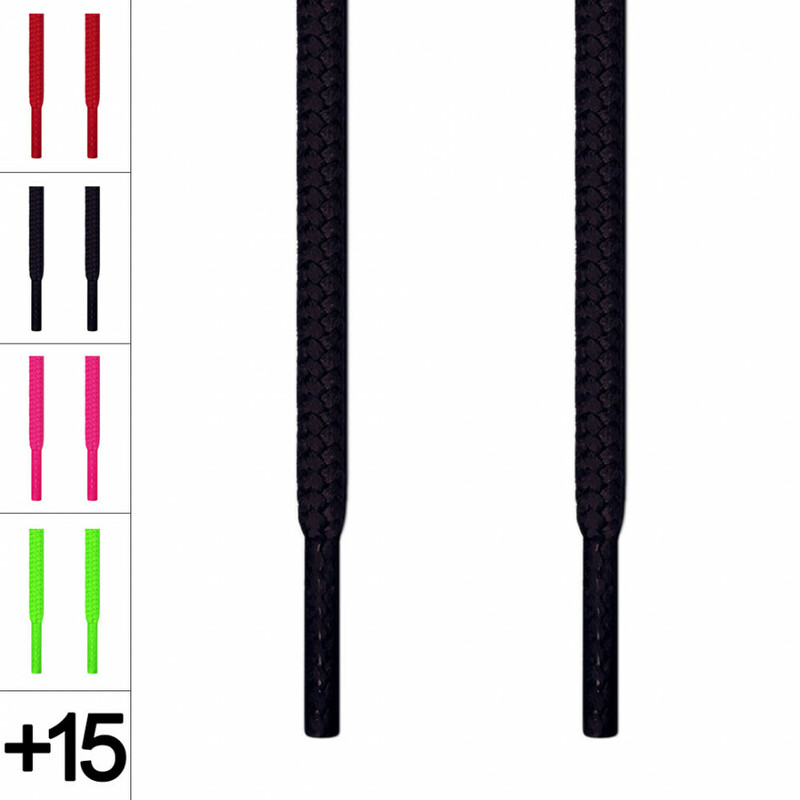 Round Black Shoelaces ← Great quality. Great boot laces. At the confluence of class and adventure come round black shoelaces, crafted for boots, but made so that every shoe howls with the depths of night like a wolf toward the moon. These are what you wear when you're in a private, high-end ski lodge while pitching an investment opportunity. But you should also lace them up before you're wading through waist-deep snow because a grizzly stole your snowshoes half a mile back. Classy? Check. Outdoorsy? Oh, yeah. Because that's what the colour black accomplishes. Every setting can call for black. If you're invited to a wedding, black is a safe choice, and the same goes for funerals. The first day of school or the last day before summer? A black-tie gala or a summer barbecue? No matter where you want to shoe up, round black shoelaces show up. Any colour shoe goes with black, and we can't guarantee that about any other colour. Forget white on rice – these laces will go with your shoes like black on squid ink paella. Saying black laces are a safe choice would be downplaying their value. Instead, we'll say they're a smart choice, because they'll make your shoes look brilliant.